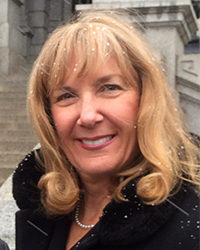 Honorary Consul General Deborah A. Palmieri, Ph.D.
Dr. Deborah Anne Palmieri assumed her duties as Honorary Consul General of the Russian Federation in the State of Colorado in January 2007. She is the first such appointment in the State of Colorado. She is also founder and president of Deb Palmieri Russia LLC, advising companies doing business in Russia. She served as president and CEO of The Russian-American Chamber of Commerce(TM), a national trade association, from 1994-early 2007. Dr. Palmieri has worked actively with Russian presidential administrations and American companies since 1994 to promote U.S.-Russian business cooperation. She has devoted her career to learning about Russia and promoting knowledge about Russian business, culture, politics and economics. Her mission is to further Colorado and U.S-Russian business and cultural cooperation through lectures, events, discussion and publications. Dr. Palmieri is the co-author or editor of four books, including Russia and the NIS in the World Economy: East-West Investment, Financing and Trade; The U.S.S.R. and the World Economy; and The Dynamics of Soviet Foreign Policy. Her 5-volume set, The Ultimate Insider’s Guide to Doing Business in Russia, is a definitive guide on business with Russia. Dr. Palmieri earned an M.Phil and Ph.D. from Columbia University. To learn more about the activities of the Honorary Russian Consulate General, please visit www.DebPalmieriRussia.com, or visit Facebook or Twitter links.